There are plenty of neighborhoods in the Temecula area with homes that feature sprawling landscapes, curb appeal that you can’t take your eyes off of, and spacious rooms inside that you would never want to leave. So how can you make your home stand out from the rest without spending a fortune? 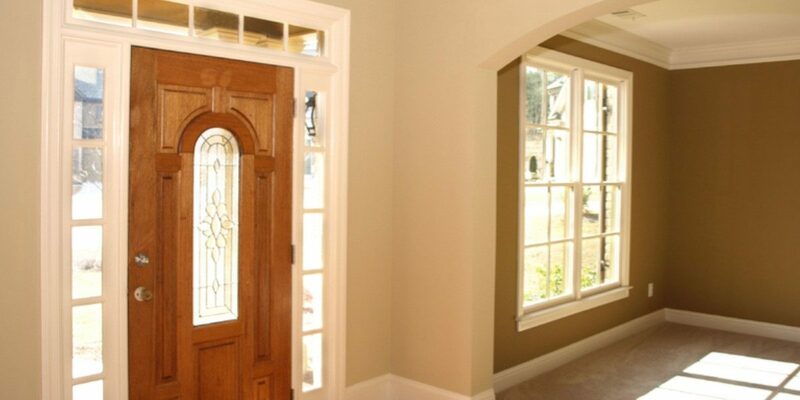 Your Door Our Glass specializes in glass door inserts that help to create beautiful front porches and detailed and intricate indoor glass windows that provide a unique and special appeal to any home. If you’re looking to add a unique look to your home, here are a few popular specialty projects. You have probably walked up and down the stairs in your home countless times and you may have only thought about how annoying they are. But what if you could add details that provide an individual and personalized look? Consider adding stained patterns on the face of the stairs that you can see as you walk up them. Add a railing or banister that is made of a material other than wood or has a special pattern. Create an open staircase and build shelving for books and trinkets. Any type of custom shelving anywhere in the home adds a cozy and novel look (pun intended). Below stairs, surrounding a fireplace, in the corner of a room, in the kitchen or bathroom — you can’t go wrong with more shelf space. To make the look even more stylish, add more than just books. 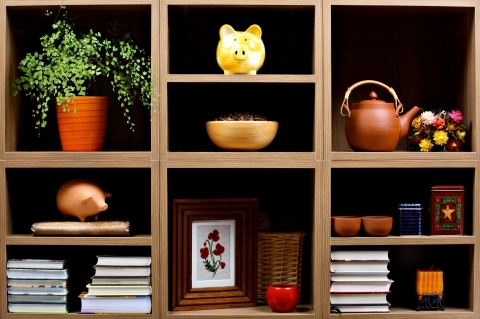 Include old objects that you find at an antique store, vases, picture frames, and more. Who says flooring has to be just wood, tile, or vinyl? Unique flooring is a great option for entryways, kitchens, and bathrooms. Consider mosaic, Spanish tile, stamped concrete, or if you want to get really crazy, think outside the box and go with puzzle pieces, pennies, leather, stencils, pebbles, combine brick and tile, or even bottle caps. Your front yard is a great place to have fun and get creative with specialty projects. Water fountains, pavers for the driveway, shrubs, grasses, and flowers local to the Temecula climate, specialty lighting, and stone or brick accents on the facade. It doesn’t take much to make a big difference in the look of your curb appeal. It might not be an obvious project, but like the landscaping, it doesn’t necessarily take a lot of money or a long-term project to make a beautiful and unique change. Glass door inserts can be inserted into the door itself or the side transoms and either will allow natural light to come in while still providing privacy. You can choose stained glass, frosted glass, or a custom design to make it really stand out. 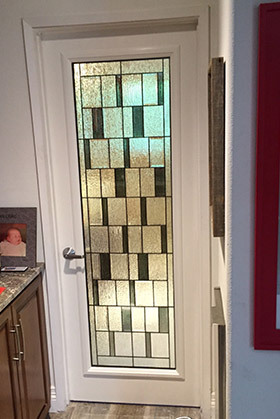 Custom glass from Your Door Our Glass will give passersby, family, and friends a focal point when they walk by or up to your home. We provide high-quality glass that can be custom-made to represent your style and personality. Our experienced team of experts will help you choose the best look for your home that will create a cohesive look with the surrounding details. If you want your home to feature a special focal point, get in touch with Your Door Our Glass to see what difference glass door inserts can make!